Beechinor-Collins had served as an EVP at Text100 since it acquired content marketing agency Republic Publishing in 2014. NEW YORK: Text100 has appointed James Beechinor-Collins to the newly created role of chief digital officer as part of a management restructuring at the firm. 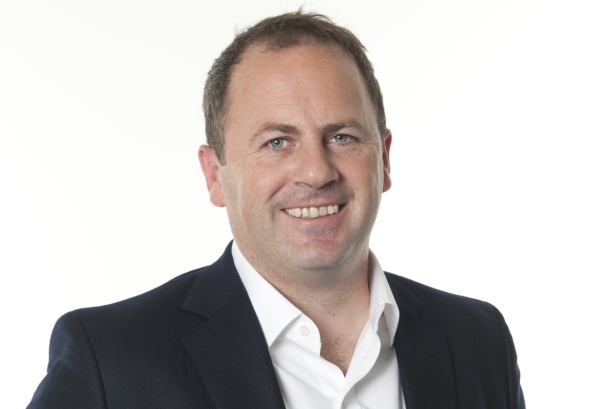 Beechinor-Collins, who reports to Text100 CEO Aedhmar Hynes, stepped into the role on February 1. He had served as an EVP at Text100 since it acquired content marketing agency Republic Publishing, where he had served as MD, through Next Fifteen in 2014. Beechinor-Collins had been focused on the integration of the two agencies. Now completed, he is moving into the chief digital officer role. Hynes explained that Beechinor-Collins’ position is focused on developing products and services to meet client demand. He will also explore how Text100's own business can become more digital. "We are responding to a changing workforce by looking at what our clients need and how our own business runs," said Hynes. Beechinor-Collins is overseeing three new teams at Text100: creative technology, insights and analytics, and global IT. Up to 30 people are in each group. The creative technology team, led by VP of creative technology James Holland, is tasked with delivering digital services for clients, from microsites and interactive infographics to full blown Web applications. It will also launch an innovation lab, which will be a source for global products. Joe Rider, global head of insights and analytics, will lead the development of the firm’s services in that area. "Having the right insights can inform the types of solutions we put in place, be it a client solution for a campaign or pitch, or an internal solution for how our people engage with those folks," said Beechinor-Collins. He added that IT has traditionally been an operational function at the agency. However, he will partner with the firm’s IT team to play a greater role in identifying, driving adoption of, and supporting new tools, services, and products. "The overarching objective of the global IT function feeds into where we are headed as an agency," said Hynes. "Even though we are a global firm, we are probably more nimble as an agency than a lot of our large agency competitors. Our feeling is we can really take advantage of that and become much more agile." Hynes said Text100 is transforming from a firm focused largely on PR to an integrated communications agency. She explained that its changes are best signified by its recent acquisitions of Republic Publishing and London-based brand marketing consultancy IncrediBull. "[The acquisitions] have been about bringing in new creative talent into the business and responding to the pace of change our clients are going through," said Hynes. "Our clients’ needs from us as an agency are changing. They demand comms but want us to be able to extend into providing them with a fully integrated solution across areas like content, social, and digital, as well as strategy and influence." The firm has also appointed Jeremy Woolf as SVP of integrated communications and promoted Jeppe Christensen to the position of SVP of content and social.